Every Honda is built for performance and dependability. An important part of keeping your Honda running great and maintaining it’s value is performing schedule oil changes at the recommended time. At Tampa Honda we use Genuine Honda Motor Oil formulated specifically for Hondas to help protect against corrosion, prevent foaming and maintain proper application of oil on cylinder walls. Not only do our Honda certified technicians change your oil but they also perform a comprehensive multi-point inspection to diagnose potential problems and plan any upcoming Honda recommended maintenance. What’s Included In a Honda Genuine Oil Change? Need an oil change for your Honda? Our Honda-trained technicians right here in Tampa at Tampa Honda can quickly perform this service for you. 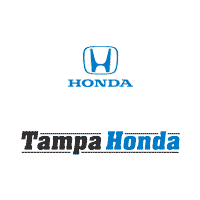 Schedule an appointment with Tampa Honda.